It is colder than I expected today but I am content that we have more rain coming with winter in full swing. 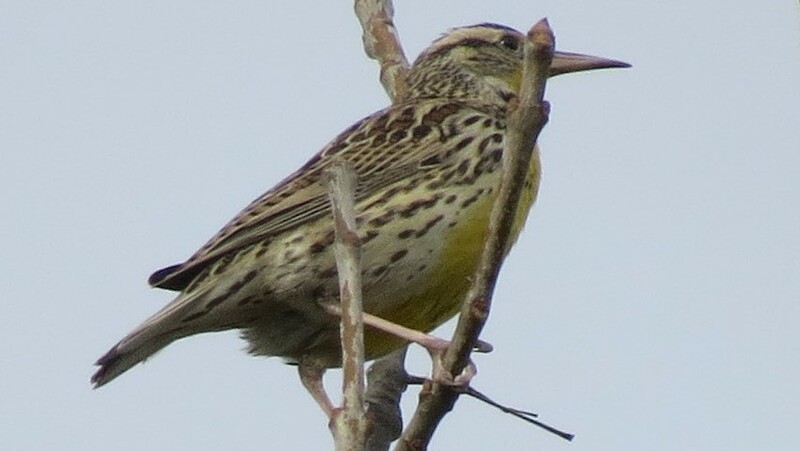 The bird that is attracting my attention, on this day, is the Western Meadowlark. There is a little drizzle as I start out which seems to evaporate in a short time. In this pasture area, I see a large flock of short-tailed, heavy-bodied birds fly up into the willows along Mill Creek. 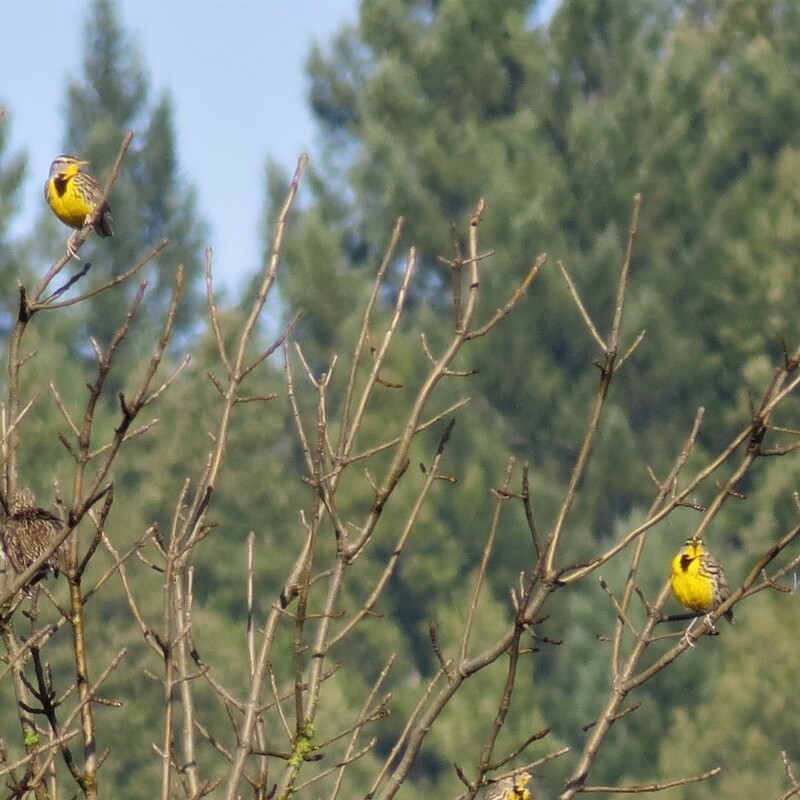 They alight at the top of the tree and look like Christmas tree ornaments with their bright yellow and black chests turned towards me. These are a winter flock of the dazzling Western Meadowlark, Sturnella neglecta . They are in the Icteridid family, which is the blackbird family, and you can see their similarity to a Starling in the shape of their body and bill. Their bills are long and pointed which is an important tool for finding insects for them to eat in the soil where they hunt. They can also be seen turning cow manure over to search for insects and earthworms. Even though insects make up 80% of a Meadowlarks food, they eat a large number of seeds and berries in the fall and winter and even have been spotted eating some carrion (a dead animal). Perhaps my favorite part about this captivating bird is its exceptional song which is a watery flutelike call. This is the reason it has been called a lark! During the late summer when these birds sing, their song fills me with nostalgia from my childhood, reminding me of the long hot days of summer in the pastures around where I lived. 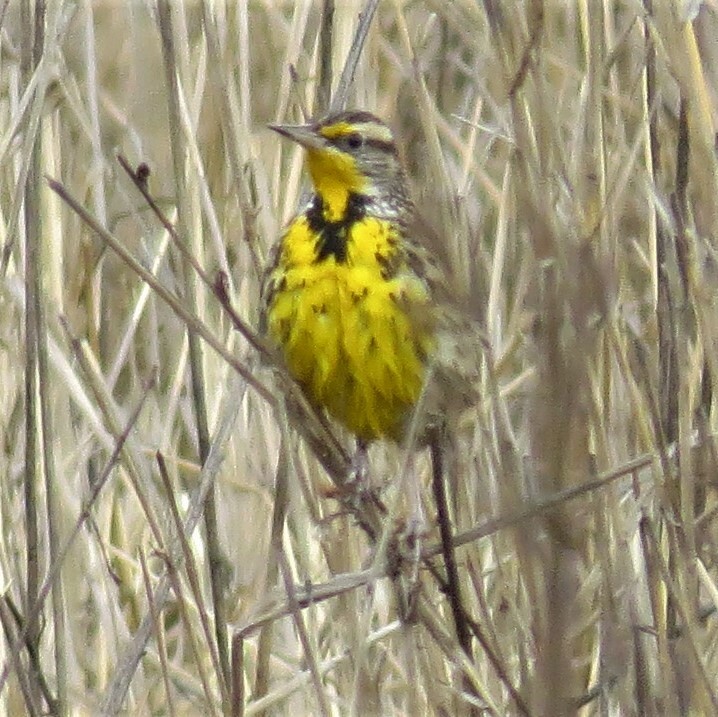 The Western Meadowlark is a ground-nesting bird. It digs a depression with its sharp and strong bill in a circle and then lines it with grasses and soft shrub leaves. When it has finished with the cup of the nest it weaves a roof over the nest with longer grasses. There are runways through the pasture along the ground for the male and female to use as hunting routes. 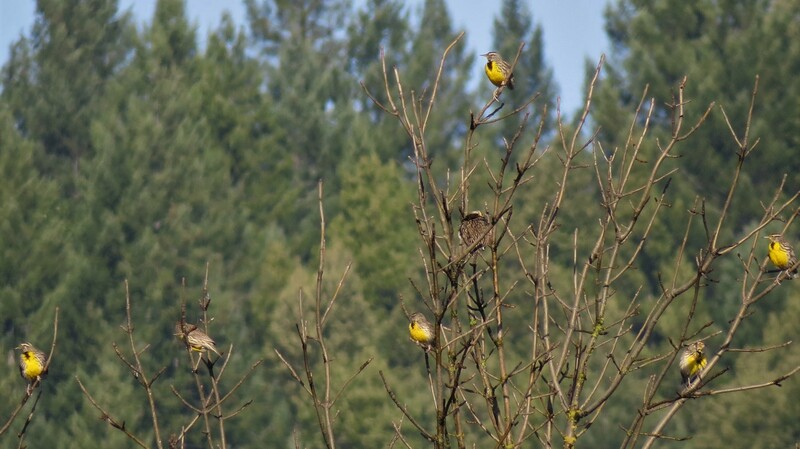 One Meadowlark male can have two females on different nests within a very close radius of each other. Their eggs are large and white with brown and lavender spots. 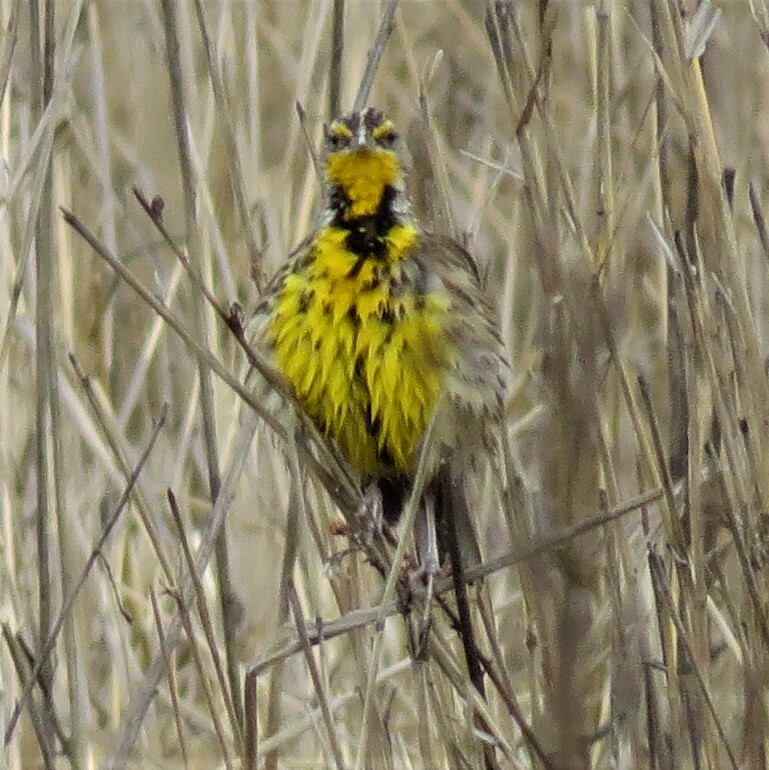 One of the Meadowlarks looks at me through the grass, balancing on two separate blades of grass. It looks wet and a bit bedraggled yet still, the color and grace of this bird dazzle me.